Exciting changes continue at Disney California Adventure park. In June, “World of Color” began making a nighttime splash at the park and Silly Symphony Swings began offering a musical ride in Paradise Pier. As you might already know, Goofy’s Sky School will add even more fun to Paradise Pier in 2011. The attraction is inspired by the 1940 cartoon short, “Goofy’s Glider.” It’s a flying academy that follows Goofy’s attempts to teach a group of novice pilots how to fly. While you might have heard about the attraction, I know there’s one thing I know you haven’t seen … and that’s Goofy dreaming about the new attraction that’s being created in his honor. Take a look at this video and let us know what you think in the comments. In order for Mickey and Goofy to get ready for this transformation, Mulholland Madness will close October 12, and the last time guests can go for a spin on Disney’s version of Mulholland Drive is October 11. For those who want to get a final scream on Maliboomer, you better hurry. Guests will blast off for the final time September 6, as the attraction will be closed on September 7. 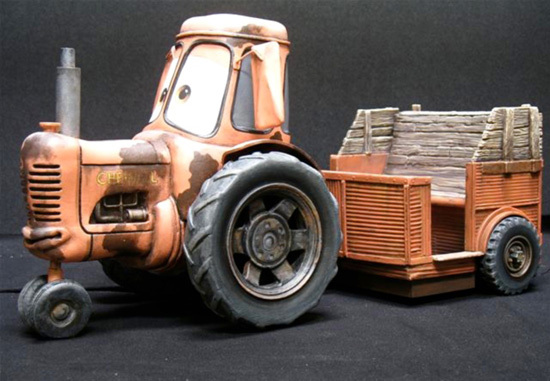 We’ve also shared news here on the Blog about the 12-acre Cars Land expansion due in 2012. You might be interested in knowing that the last day to experience Bountiful Valley Farms will be September 7 as it will close September 8 to help pave the way for Mater’s Junkyard Jamboree.